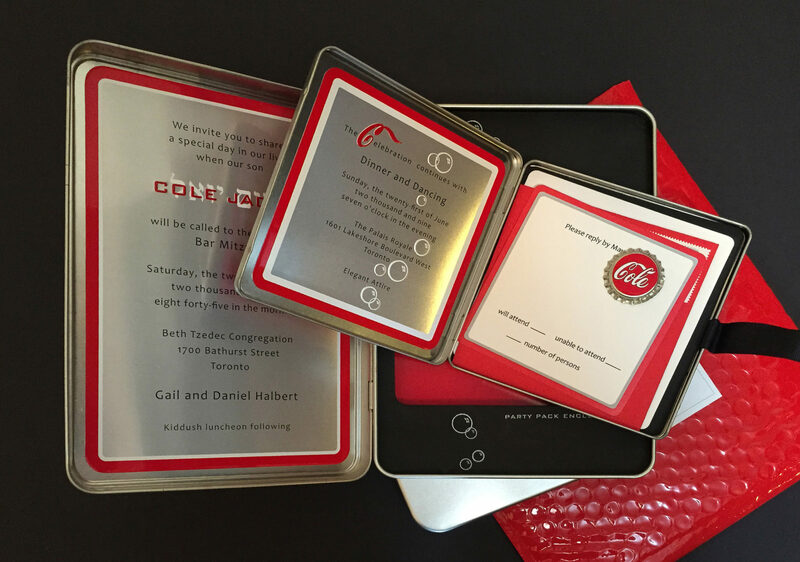 This refreshing take on bar mitzvah invitations comes in a hinged tin box embellished with specialty printing, embossing and a distinctive all-metal bottle cap and swish detail. 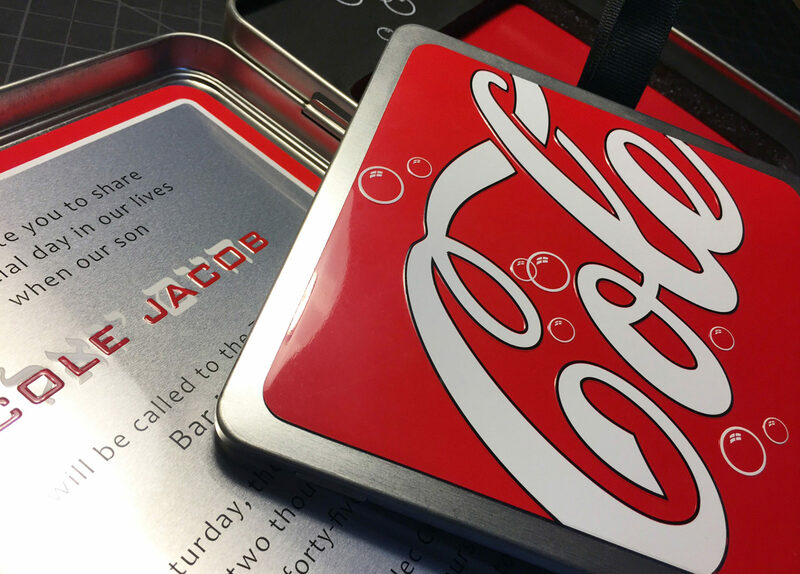 Inside, the announcement panel attaches to the lid while a second tin nests in a custom foam insert. 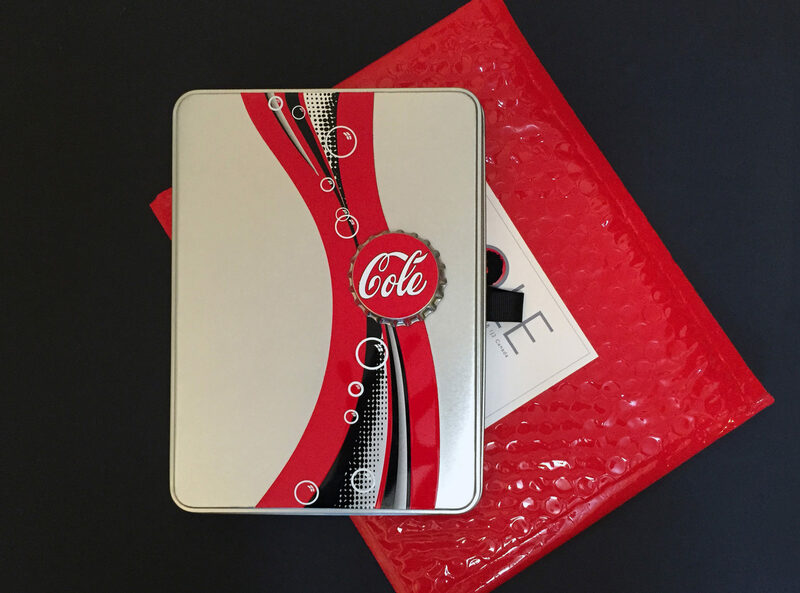 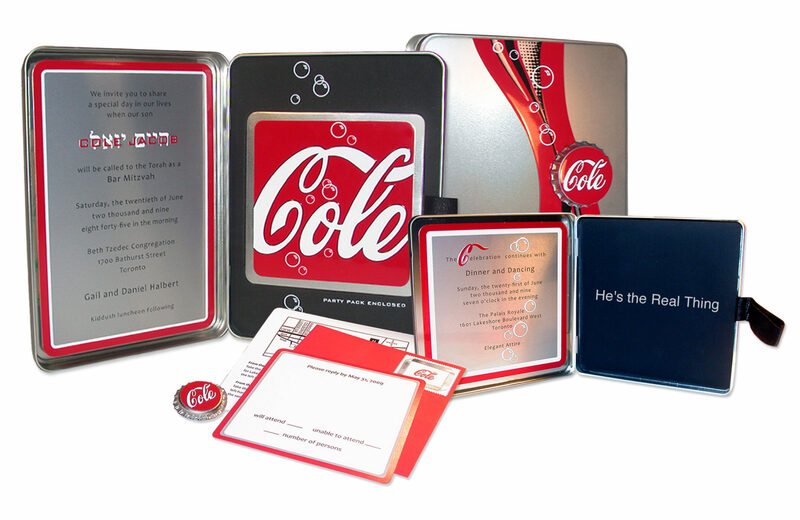 Silkscreened with a signature “Cole” logo, the box contains a printed and embossed panel with reception information as well as response cards, envelope and a bottle cap button.